Tsonoqua is sometimes known as Copper Woman, and is symbolically linked with wealth. Many stories speak of children who help her and are rewarded with gifts of meat, furs, copper and supernatural powers. 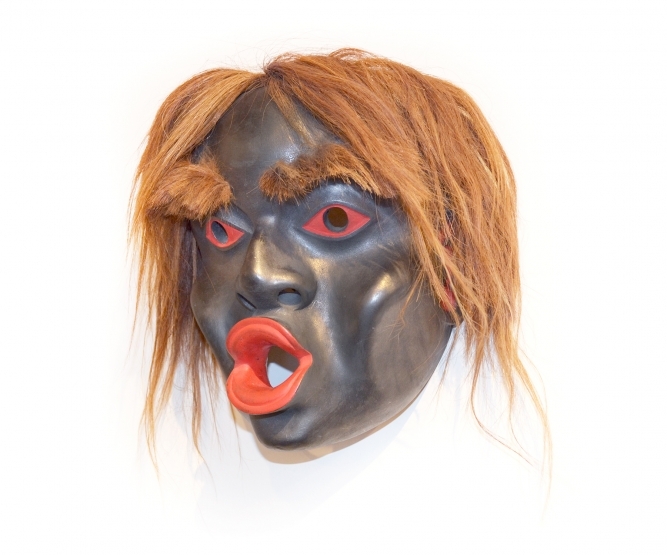 Of all the creatures of the forest that are represented as masks on the Northwest Coast, Tsonoqua (aka Wild Woman of the Woods) is one of the most renowned. This creature has a rather fluid gender; the female representations still have very masculine features, and the male representations are smaller and may be more embellished.